You may have heard the term ROI, meaning ‘return on investment’. For homeowners, this is an important term to know. Although home-improvement projects can be costly, if you pick the right one it could be a wise investment that pays off down the line. 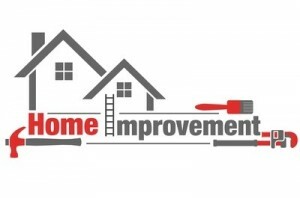 According to the Remodeling 2015 Cost vs. Value Report the following are four remodeling projects with a mid- range budget offering the optimal ROI for homeowners. Replacement of a front door has been listed as the top project for ROI for several years running. Steel doors, unlike wood or fiberglass, are considered easier to maintain, less expensive and better for security. Additionally, your front door is a critical part of the curb appeal of your home since it’s one of the first things potential buyers will see. When your home’s exterior seems bland or out of date, a manufactured stone veneer could be a smart change. Manufactured stone veneers come in different colors, cost only about 1/4 to 1/2 as much as natural stone, are lighter in weight and require no maintenance. Additionally, they are more fire resistant than wood or vinyl and can be installed more easily without concern for extra support or insulation. Second only to your front door, your garage door is one of the most prominent features of your home. As one of the first impressions your home will make, you will want to choose an attractive door that fits your budget in wood, aluminum, fiberglass, or steel. You can choose from options such as a rollup or tilt according to your home’s age and style. Although wood doors generally require more maintenance than other materials, they are also often the most aesthetically pleasing. A paver patio can add square footage and outdoor living space to your home, creating a charming entertainment area for relaxing or dining. This is the sort of amenity that appeals well to potential buyers. Adding a bar, an outdoor fireplace or fire pit or a patio heater will allow the area to be used for more months of the year when the weather is cool. Of course, there are other improvements that are also worth the time and expenditure. New paint, new fencing and bathroom remodels are all good choices, but the four suggestions above may offer substantial return on your investment.